Is Medicine the Only Option for Asthma? Imagine having to use an inhaler every time before playing a sport or after walking up a couple flights of stairs to stop yourself from wheezing like a dying walrus. There are hundreds of millions of people who deal with this every day . This prevalent ailment is known as asthma, a chronic inflammatory disease of the respiratory system . Wheezing is the primary symptom of this recurrent disease, caused by the inflammation and thickening of the bronchial tube walls. The bronchial tubes are the two airways that deliver air to the lungs . When these airways are inflamed, air has difficulty passing through them, resulting in wheezing and shortness of breath. The inflammation can be caused by many triggers such as physical activity, allergies, climate changes, strong emotional responses, and environmental pollutants. In order to prevent the onset of asthma symptoms or an asthma attack, asthmatics can be prescribed a variety of medications. Typically, an asthmatic will be given a “quick-relief” medication, but if they play a sport or find that their asthma is easily triggered, they may also be prescribed a “long-term control” medication. However, sometimes these medications do not completely resolve symptoms, leading people to seek other treatments besides prescription drugs. Physiotherapy is a form of alternative medicine that focuses on movement and involves the use of exercise and manual therapy to help people with illnesses, injuries, and disabilities. It has proven to be effective in treating chronic respiratory diseases such as asthma. A study performed by P. Bergqvis and O. Löwhagen tested the Lotorp method on patients who had been diagnosed with asthma and prescribed medication to manage their symptoms. The method consists of massaging the muscles of the chest as well as teaching the patients proper breathing techniques . Improper breathing can include shallow and swift breaths, which is common in asthmatics due to restricted airways. The goal of this treatment is to address the shallow breathing in addition to reducing inflammation . The results of the study showed that the physiotherapy treatment increased the volume of air the patients were inhaling and exhaling . The maximum point to which each patient’s chest could expand during respiration was also measured before and after the physiotherapy treatments . These measurements increased over the course of the six weeks during which the study took place . Wheezing, shortness of breath, and other asthma symptoms were better managed by the patients because of these changes that the treatments made . When you think of asthma, most of the time you think of the inhalers that one of your teammates had to use right before the big game. You don’t always think of the possible alternative medicine practices that may be out there that could benefit your health in the long run. (1) Asthma. Physiopedia. Mackey C, Hunter C, Dokhnan S, Lowe R, Thomas E. https://www.physio-pedia.com/Asthma (Links to an external site. )Links to an external site.. Accessed September 15, 2017. (2) Löwhagen O, Bergqvist P. Physiotherapy in asthma using the new Lotorp method. Complementary Therapies In Clinical Practice [serial online]. November 2014;20(4):276-279. Available from: MEDLINE Complete, Ipswich, MA. Accessed September 25, 2017. Emily James is a first-year honors student at Franklin Pierce University with a major in Health Sciences. She plans to pursue her Doctorate of Physical Therapy through the graduate program at Franklin Pierce University. 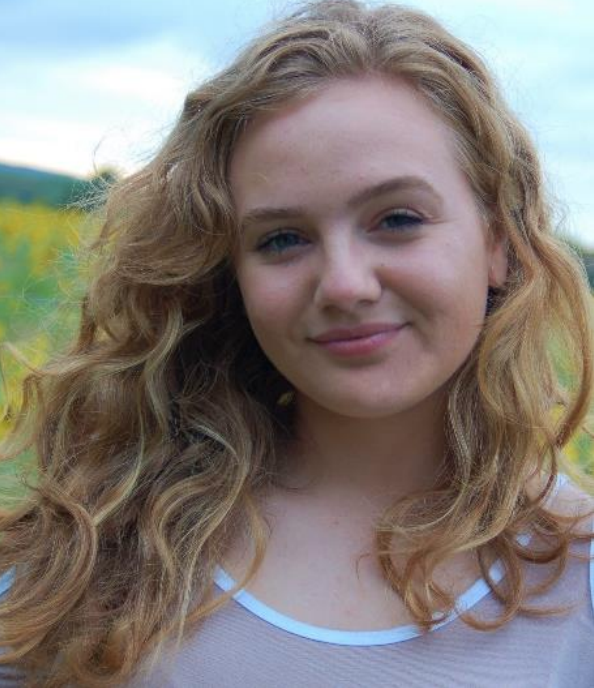 Emily is a resident of Preston, Connecticut and a graduate of Norwich Free Academy in Norwich, Connecticut. When it comes to concussion symptoms such as headaches, conventional treatments like therapies and medications are not always successful. Recently, acupuncture has been a growing treatment option for chronic pain, specifically headaches and migraines. Acupuncture is a traditional Chinese method of medicine which stimulates certain points on the human body by inserting thin needles through the skin. Researchers are currently looking into how acupuncture can help when it comes to treating concussions (1). A case study done by Lin and Tung focused on the effects of the traditional Chinese technique on pediatric sports-induced concussions. It included an eight-year-old male hockey player, a fifteen-year-old female field hockey and lacrosse player, and an eighteen-year-old female soccer player. Symptoms suffered by these patients included significant headaches, dizziness, fatigue, balance problems, light sensitivity, visual tracking, sleep disturbance and concentration difficulties. The eight-year-old boy reported an initial pain score of seven out of ten, and was receiving physical therapy and medications prior to receiving acupuncture. The fifteen-year-old female complained of a consistent daily headache that she rated a five or six out of ten. The eighteen-year-old female complained of a persistent headache that she rated a five to seven out of ten all day, to the point where she could no longer participate in soccer. Prior to acupuncture she had tried almost every available therapy and no treatment had worked (2). The eight-year-old hockey player received six treatments that completely resolved his headaches. His neurological exam returned to normal and he no longer used any medications. The fifteen-year-old female received six treatments of acupuncture as well; her headaches decreased from a six out of ten to a three out of ten. Her mood improved greatly, while also noticing overall improvement in her daily life. Lastly, the eighteen-year-old female received twelve treatments. By her final treatment, her headaches were down to a two out of ten, and significantly decreased in frequency. She no longer complained of forgetfulness and was able to tolerate both light and screens. Her dizziness, noise sensitivity, and frustration were resolved as well (2). Overall, the study showed success in treatment by reducing their symptoms and signs of their concussions (2). Lin and Tung were able to determine that acupuncture may have therapeutic benefits for patients when integrated into conventional treatments for pediatric sports-induced concussions. Future studies should be conducted for concussion treatment to tests the effect of conventional treatments alongside acupuncture to see if it requires a multidisciplinary approach. 1) “Acupuncture: In Depth.” National Center for Complementary and Integrative Health, U.S. Department of Health and Human Services, 21 Feb. 2017, nccih.nih.gov/health/acupuncture/introduction#hed2. Accessed 30 Apr. 2018. Kathryn Cunningham is a sophomore majoring in Health Sciences with a minor in Psychology and Pubic Health and working towards her Women in Leadership Certificate. On campus she is the Assistant Manager of the Information Desk, Vice President of Student Government Association, a member of the honors program, health sciences club, and hope happens here. Back home in Rhode Island she is a dedicated Special Olympics Coach, coaching track and field, swim, golf, bowling, and basketball.